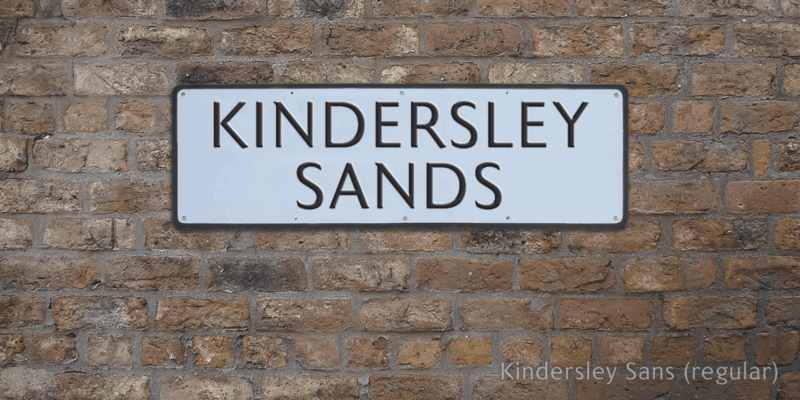 Many street nameplates in Britain use versions of Kindersley serif capitals designed by David Kindersley in the 1950s. K-Type Kindersley Sans is an unfussy alternative to the signage stalwart, perfectly suited to newer environments and more contemporary tastes. 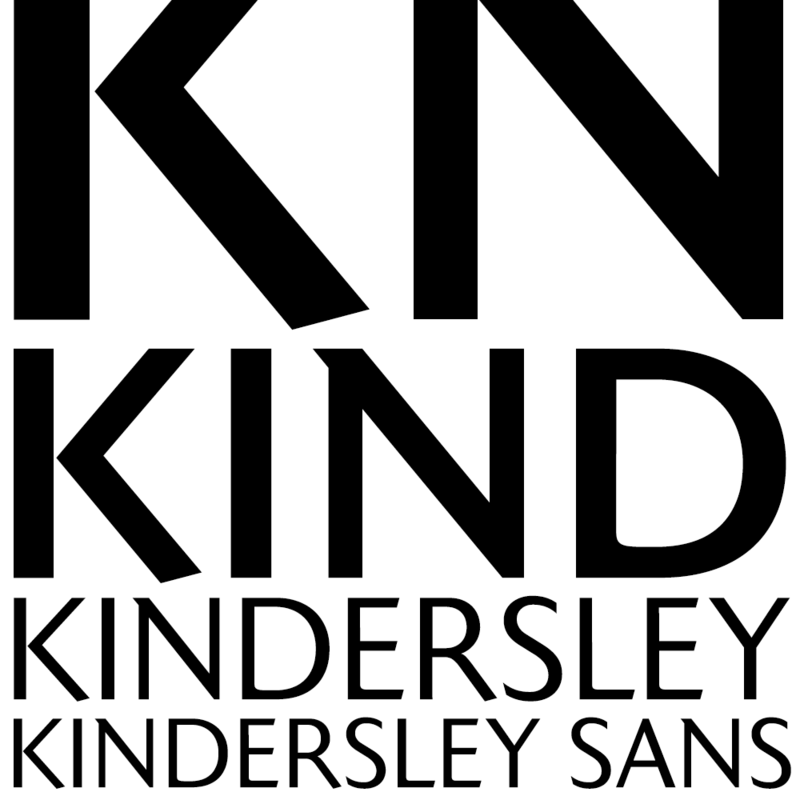 Kindersley Sans is a humanist sans-serif that conserves the Gill-inspired character and some of the calligraphic qualities of Kindersley’s lettering, it retains the Roman proportions and its Britishness, but traditional prettiness and intricacy are discarded in favour of a clean modernity. 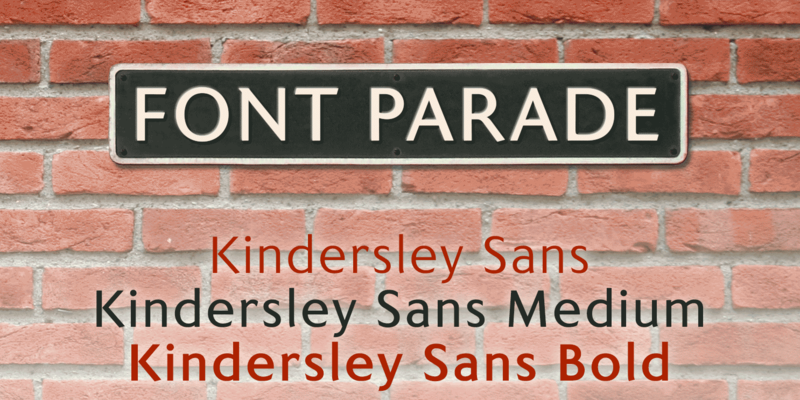 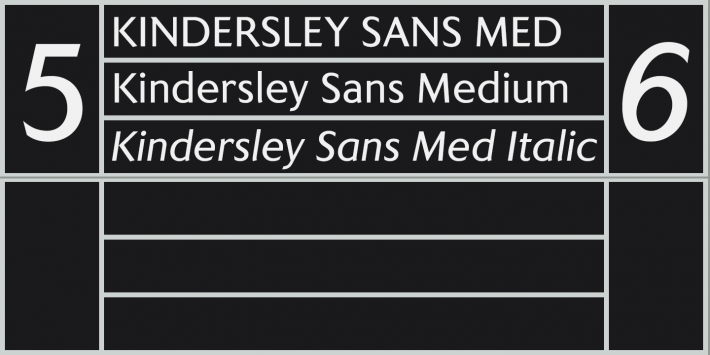 For purposes where Transport (MOT) is considered too formal and Kindersley too old-fashioned, Kindersley Sans offers an open and amiable up-to-date alternative. 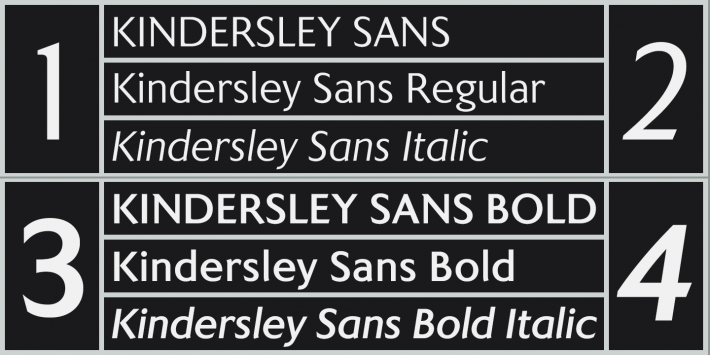 The typeface is comfortably spaced and carefully kerned to deliver beautiful results with ease, and although designed with nameplates in mind, it excels as an all-purpose text face in print and on screen. 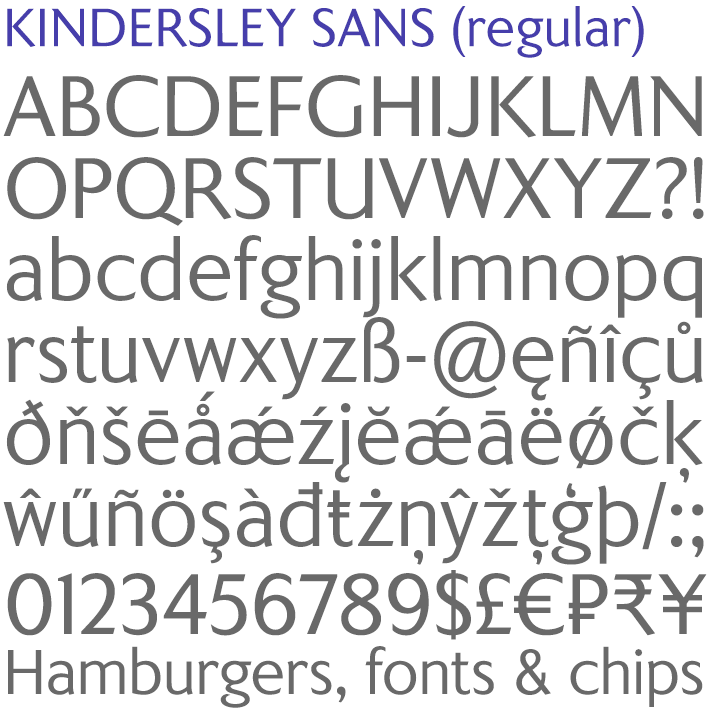 The tail of the uppercase Q has minimal descent to avoid constriction. 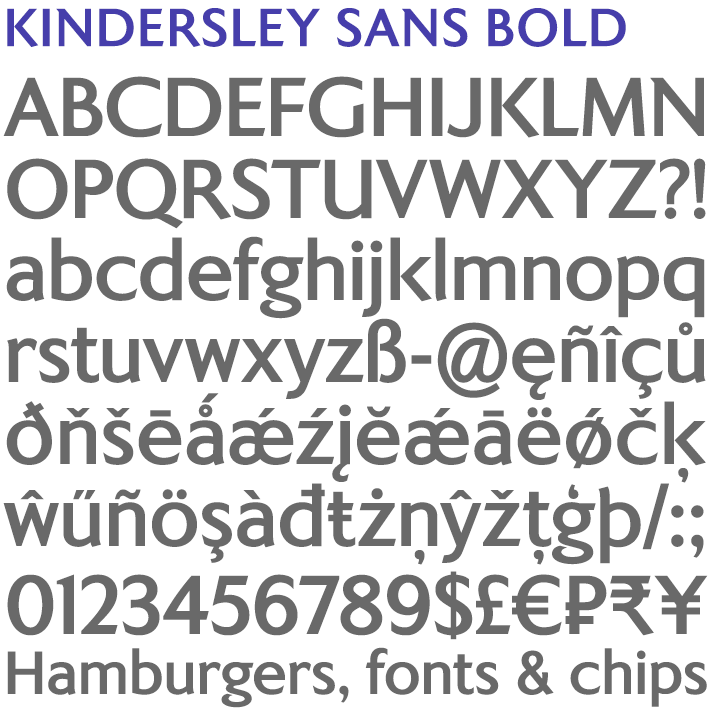 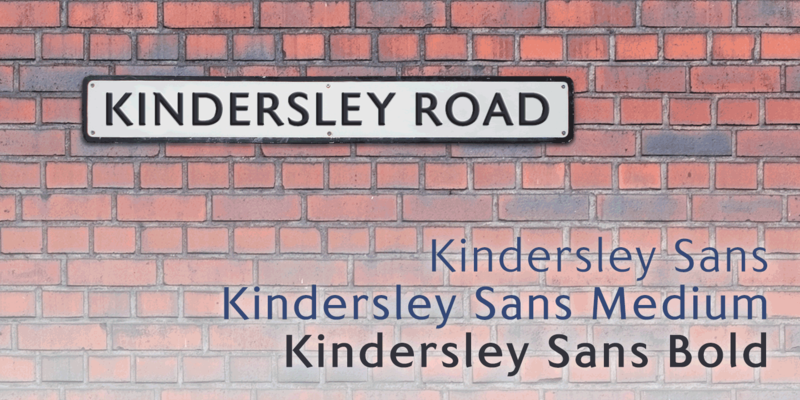 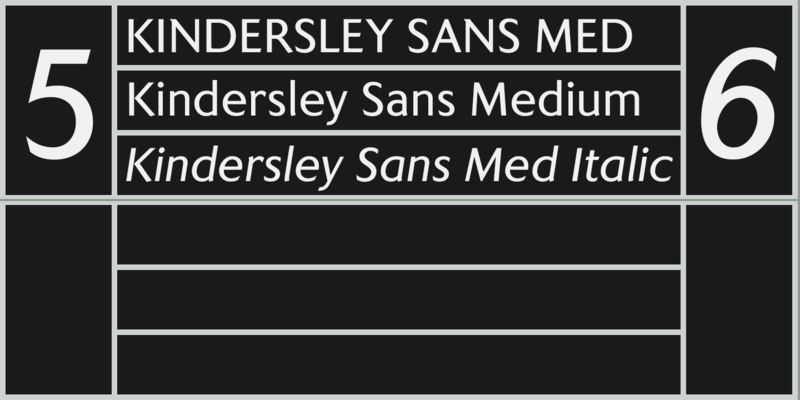 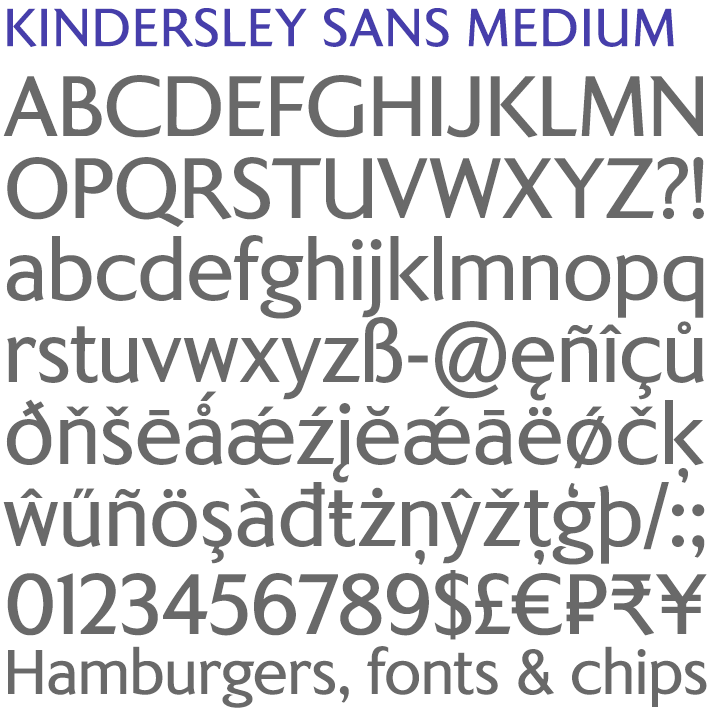 Kindersley Sans includes a lowercase designed for signage with short descenders to prevent unsightly congestion. 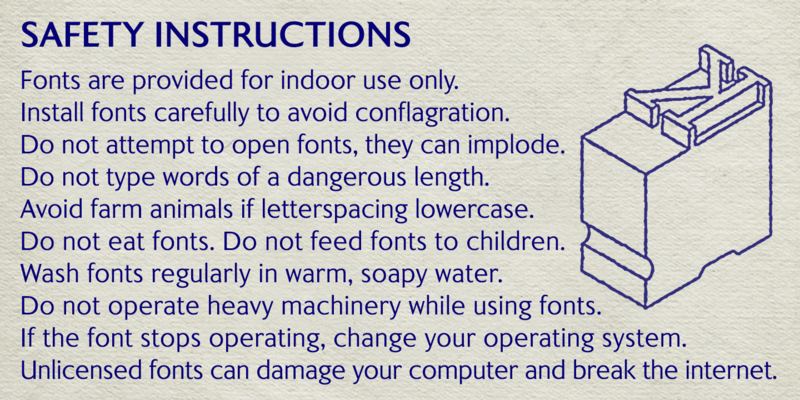 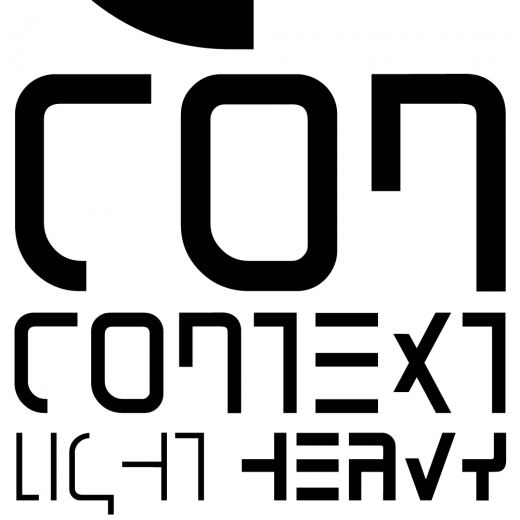 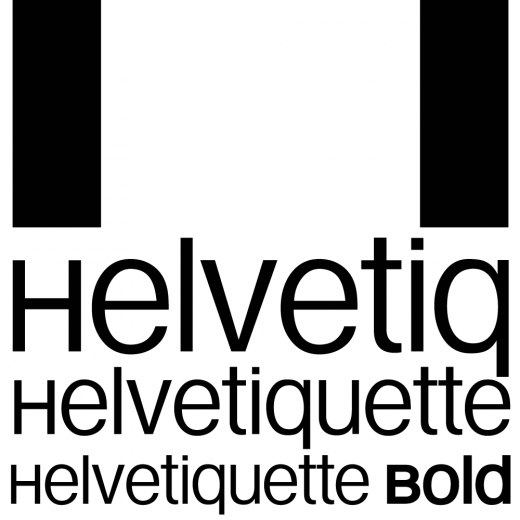 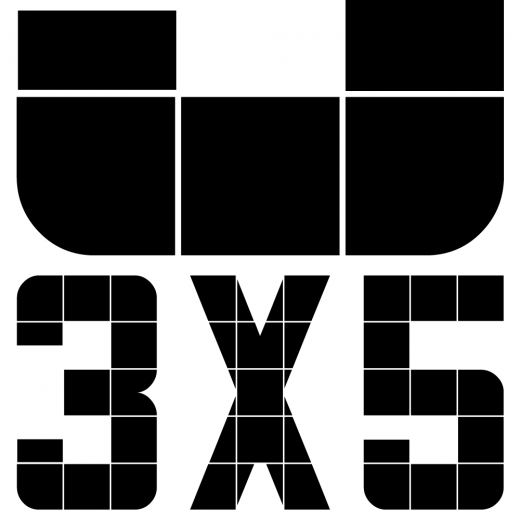 A generous x-height assists legibility, and characters are designed for easy reading and distinctiveness. 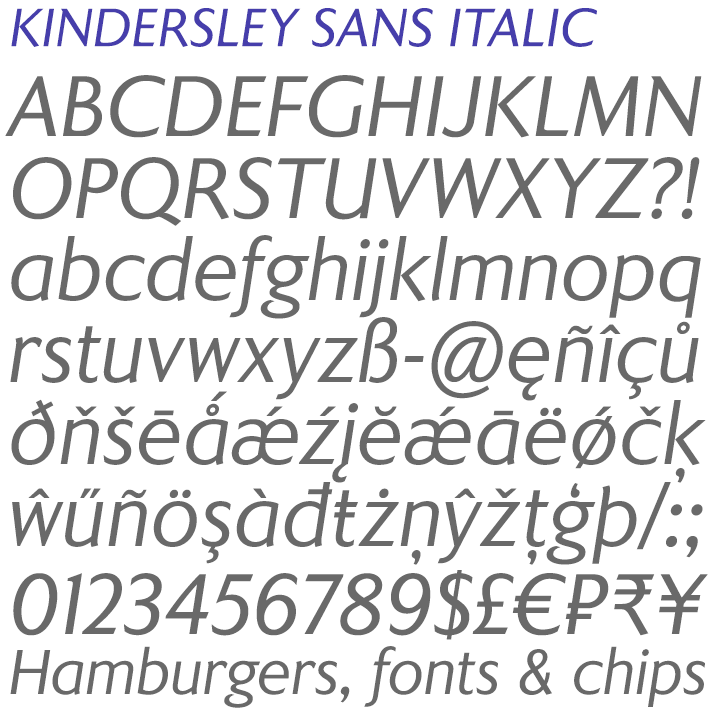 The curved foot of the lowercase L distinguishes it from the uppercase i. 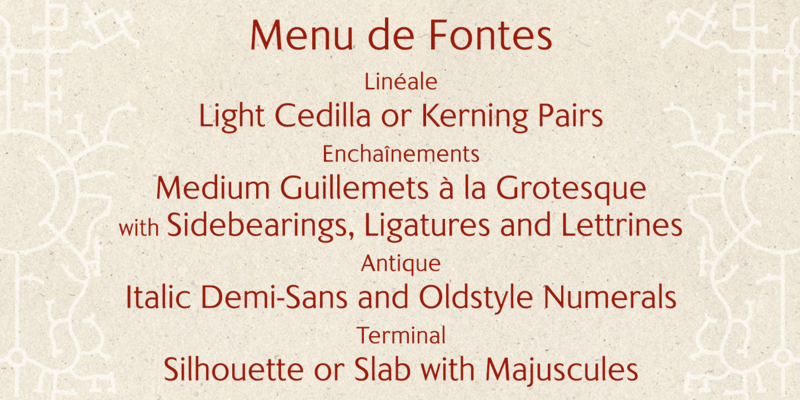 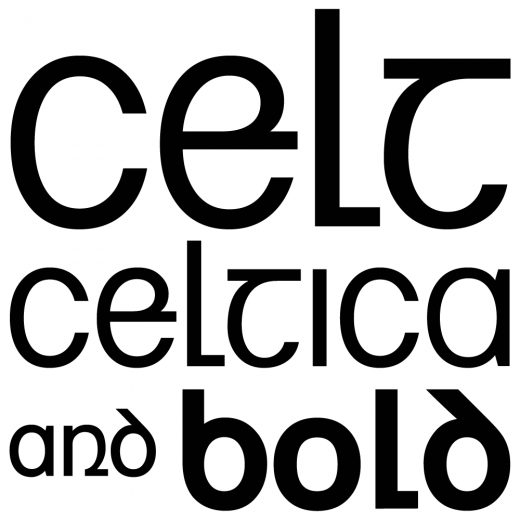 The six fonts contain a full complement of Latin Extended-A characters, Welsh diacritics and Irish dotted consonants, so European language nameplates need not be a source of frustration. 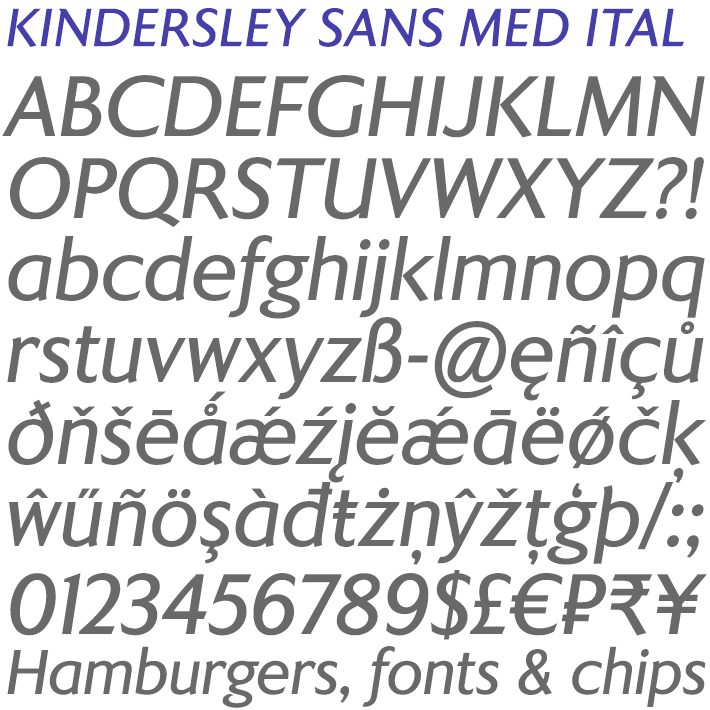 The ascent and descent of accented characters has been kept to an acceptable minimum. 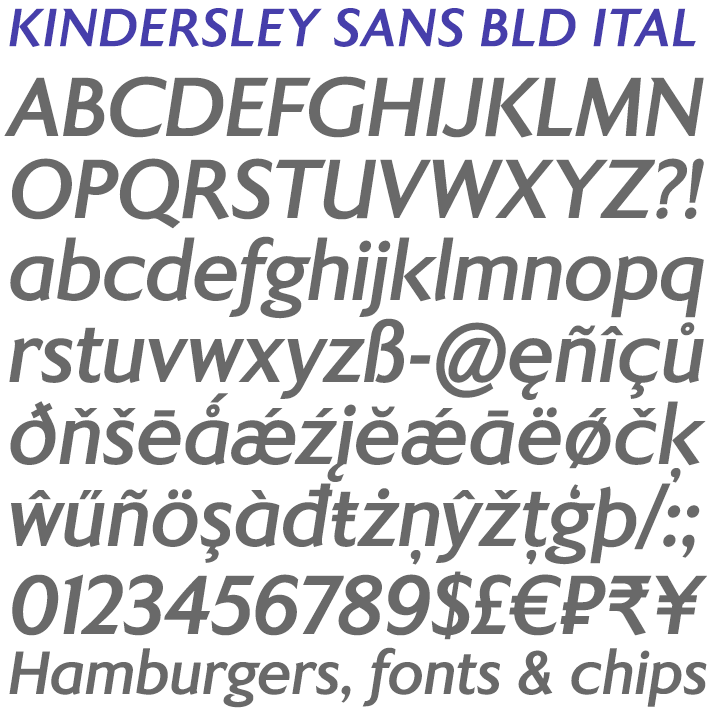 The licensed family includes all six fonts – regular, italic, bold, bold italic, medium and medium italic – and the regular weight can be downloaded Free for Personal Use.